The group’s office portfolio comprises 150,000 ft² (circa 14,000 m²) of space held in a range of buildings located in Exeter, Plymouth, Bath and Bristol. Current office tenants include Aviva, Capita, Tomy and Government organisations. The group’s industrial portfolio comprises 200,000 ft² (circa 18,500 m²) of floor space in Exeter and Plymouth. Current tenants include City Plumbing, Autoglass and Scania. On 25th November 2013, Eagle One and Blue Cedar Homes moved into their prestigious new Headquarters on Exeter Science Park.The contemporary design, undertaken by LHC Architects, provides for some 11,054 sq ft of net useable space (1026 m2) arranged over two floors together with an ‘undercroft’ to accommodate a range of supporting facilities including storage and plant room areas. The building has achieved a BREEAM rating of ‘excellent’, awarded an A rated energy performance certificate (EPC) and the property was the winner of the ‘British Council for Offices Regional Award for Best Project under 2000 m² 2015. As part of the company’s 130 acre (circa 50 hectares) strategic landholding, 60 acres (circa 25 hectares) were sold to Devon County Council in 2008. Outline Planning Permission has been granted for the Science Park amounting to some 822,000 sq ft (76,400 sqm) of development arranged in 6 ‘clusters’ within a Parkland setting. Eagle One have been appointed as the Council’s developer for phase one which provides for 200,000 sq ft (18,500 sq m) of accommodation including a 150 bedroom hotel. Occupying a prominent position adjacent to Junction 29 of the M5 and Exeter Science Park, Exeter Gateway Office Park is part of a mixed use development which will also include 580 residential units and a local centre, providing retail and leisure facilities within a short walk. Exeter Gateway office Park extends to approximately 10 acres in 3 distinct plots, and benefits from outline planning permission for office development. Bespoke buildings to accommodate occupiers’ specific size and specification requirements can be provided on a leasehold basis. 100 acres of strategically located commercial development land was acquired and promoted through the planning system. Matford Park has seen significant new development for major industrial and commercial occupiers with a high concentration of car dealerships. Approximately 50,000 sq ft (circa 4,600 sq m) of industrial buildings at Matford are retained in the Eagle One Investment portfolio. The group is responsible for project managing the development of a further 30 acres. Construction has commenced and is due to complete for the 2020/21 academic year to create Aquila Court, a 204-bedroom modern student block formerly occupied by Pickfords, 15,000 sq ft (circa 1,400 sq m). Students will benefit from shared kitchens with dining spaces, various communal spaces including flexible study areas and an on-site gym. In addition, Eagle One hold another long-term investment, a multi-let office building – Berkeley House at 10,000 sq ft (circa 930 sq m). Langage Park has been developed over the past 20 years as Plymouth’s main out of town expansion area for business. Eagle One has developed approximately 400,000 sq ft (C 37,000 sq m) on 30 acres for a range of industrial distribution office and car showroom occupiers with 60,000 sq ft (5,500 sq m) in 5 units currently retained within the Eagle One investment portfolio. Eagle One was responsible for the development of this 45,000 sq ft headquarters office building which is located on an extremely prominent ‘gateway’ entrance site into The Pynes Hill Business Park. A pre‑letting was agreed with Norwich Union to occupy the building. The freehold interest is retained within the Eagle One investment portfolio. 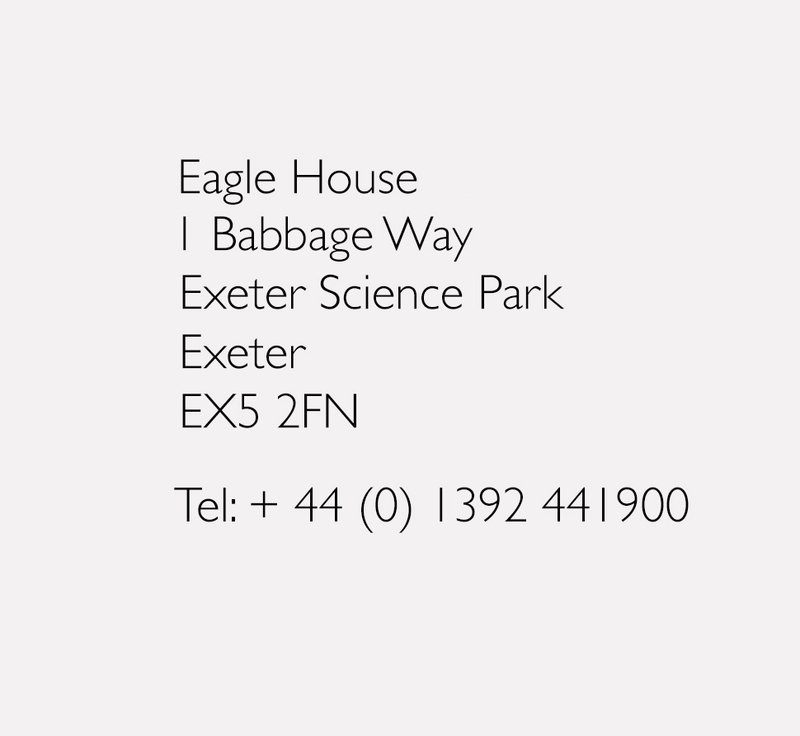 Pynes Hill was Exeter’s first out of town business park where Eagle One was responsible for developing over 250,000 sq ft (C 23,000 sq m) of office accommodation throughout the 1980s and 1990s. Situated right on the edge of Ludwell Valley Park, major occupiers in this Park include Babcock, Capita, NHS Trust & Santander. Over 100,000 sq ft (C 9,000 sq m) of office accommodation at Pynes Hill is retained within the Eagle One Investment portfolio.